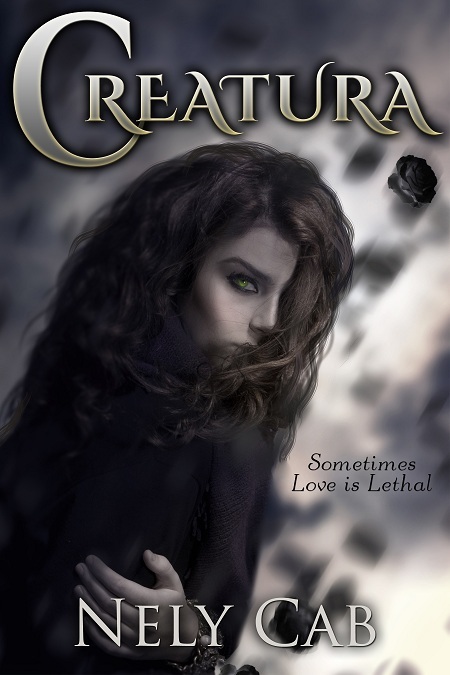 Dey For Love | Cover Reveal for “Creatura” by Nely Cab!! New version features BRAND NEW CONTENT!! Isis can control her dreams. Or she could-until recently. The creature in her nightmares has been haunting her for months. As if being dumped wasn’t bad enough, now she dreads going to sleep. She decides to confront the creature and win back some of her peace; only, she finds that he’s not a monster and he’s not a dream.A sacrifice for love, a shocking discovery and a jealous ex-boyfriend blur the lines between reality and dreams, making it hard to tell who the real monsters are.Who would’ve known…that sometimes love is lethal? The rights to “Creatura” were sold to a leading Young Adult publisher in a foreign country, where it is scheduled to appear within the next year.